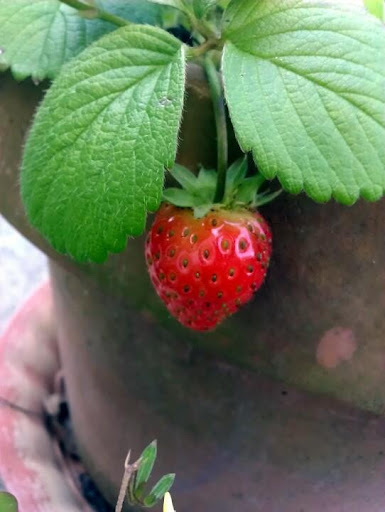 Tasty Tuesday – Strawberries from the Garden | Who Are You Calling Crafty? Yep we got our first RED strawberries today, I wanted to wait until my daughter got home to post this. 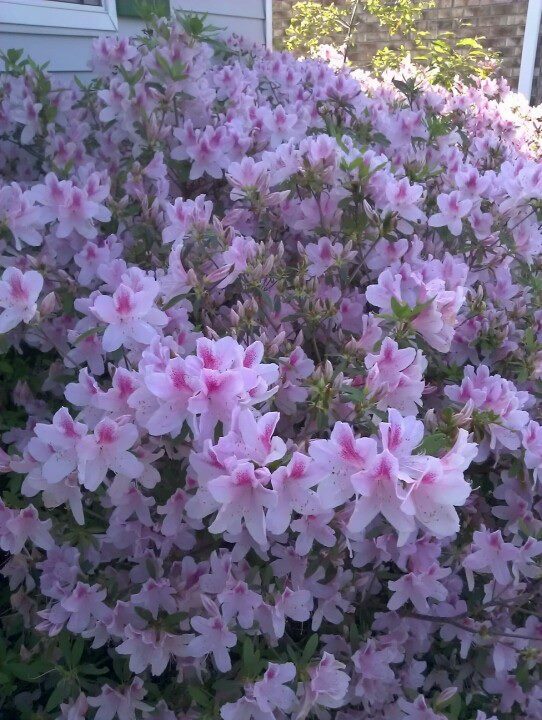 I promised Booga and her yesterday that we could pick them today. 80 degrees on the first day of Spring I can handle that the bugs however are terrible (15 new bug bites and that is with bug spray). Hoping the county spraying 3 times a day will help kill the mosquito population because it is horrible! There were only 2 that were red here is one of them. Booga ripped the other off the plant before I could snap a photo. 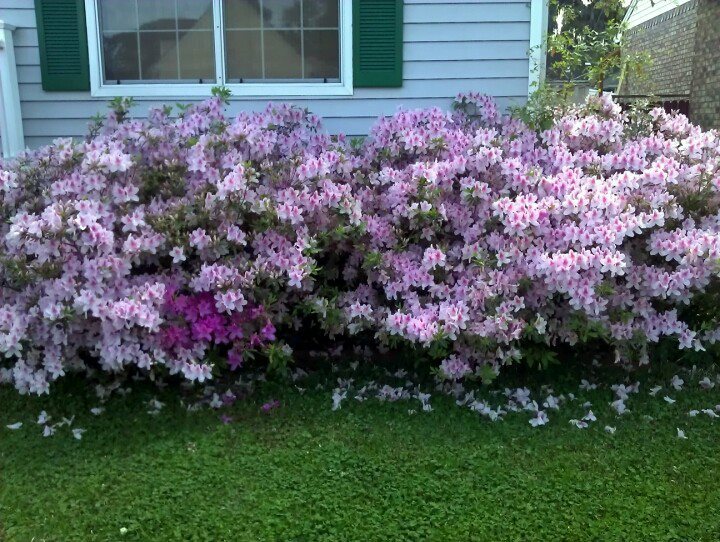 The front shot of my azaleas and yes my grass is green.